There are over 11 courts to choose from, and one with arena seating. Gorgeous trees and shrubberies line the resort. With 8 pools throughout the property it's like having a private pool. Enjoy a family meal from your furnished balcony. Wyndham Mauna Loa Village is a series of low-rise condominiums that are surrounded by beautiful grounds with palm trees and tropical flowers near the lava rock Kona coast. I hope you packed the kids’ water wings because the resort has eight outdoor pools to choose from; it’s almost like having your own backyard pool. Go for a swim with the kids or lounge poolside with the magazines you picked up at the airport and catch up on your celebrity gossip. When it’s time for lunch, fire up the bbq grills for a family cookout. If you’re into tennis, this is the resort for you. The resort has eleven tennis courts, many of them lighted at night, and one even has arena seating. At the end of the night, enjoy a relaxing soak in one of the six hot tubs. Air-conditioned one- to two-bedroom condos sleep four to six guests and offer all of the comforts of home like in-suite washer/dryers and full kitchens. The resort is just a short drive to KTA Super Store for groceries. Bring the kids along to help carry bags and make sure you’ve checked everything off your list. Back at the resort, assemble your world-famous lasagna for dinner while the kids play Go Fish. While the lasagna is in the oven, catch a sitcom rerun or a movie on the flat screen TV, it has cable and a DVD player. You’re surrounded by the Kona Country Club and have direct access to eighteen holes of championship golf. For ocean exploration, you’re right down the street from a local marina that runs snorkel, rafting, sailing, and dolphin watching adventures. There’s plenty of dining nearby at Ray's on the Bay and Kai. Craving a spa day? Head to the Ho’ola Spa, home of the first Salt Room in the Hawaiian Islands, for a massage, facial or body treatment. The Keauhou Shopping Center offers a variety of unique shops. For jewelry made by local artists, there’s In the Tropics. Jams World features contemporary casual apparel. Kona Stories features new and used books for readers of all ages. The Farmers Market has over forty vendors offering everything from fresh produce and flowers to jewelry and Kona Coffee. Pick up some locally made honey. 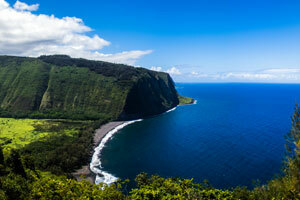 Browse the Hawaiian photographs, Aloha shirts or tropical apparel. - Front desk is open from 8:00 AM-10:00 PM daily. Guests that arrive late can pick up room keys from security in the second lobby located in the last building on the property. - The resort doesn't provide housekeeping. Guests can request towels between 8:00 AM and 4:00 PM.